Indian wicket-keeper batsman Mahendra Singh Dhoni's daughter Ziva, who is becoming social media queen day by day with her adorable videos, is now seen making roti (chapati) with her tiny hands. The video featuring Ziva is being liked very well on social media but many are stunned to see that despite being so young, Ziva is making chapati in round shape. Dhoni and his wife Sakshi Dhoni often share photos and videos of their daughter Ziva on photo sharing platform Instagram. Recently, the videos of Dhoni and Ziva eating 'Ladoo' went viral. 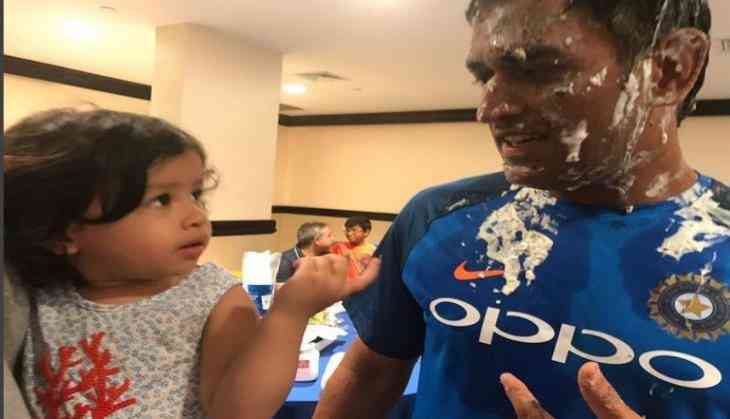 Prior to Diwali, Dhoni posted a video of 'Ladoo Attack' with his daughter Ziva, in which he and her daughter were seen fighting each other to eat laddoo. Gradually, Ziva is becoming famous on social media and her account has also been created on Instagram by Dhoni and his wife. This is not the first time when Dhoni's daughter is in the headlines. About three months ago, a video on social media went viral, in which she was seen singing Malayali song.